Coming to LaGrange Toyota’s Service Center for regular oil changes is one of the easiest ways to make sure your engine lasts as long as possible. Every time you crank the engine dozens of metal parts beat and bang on each other, and without some sort of lubrication, the heat from that friction will cause those metal parts to fuse together, entirely seizing up the engine. The right motor oil will coat all the parts to prevent heat from affecting the motor’s parts; however, all oils collect heat, varnish, and carbons and begin to break down, becoming less effective. Therefore, you need to get a fresh supply regularly to prevent engine problems. 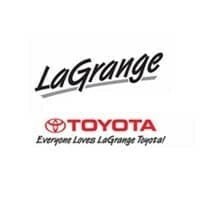 The LaGrange Toyota Service Center uses Genuine Toyota Motor Oil and Genuine Toyota Oil Filters to ensure your vehicle gets the perfect fit. Our Toyota technicians have the tools and knowledge to complete this job as quickly as possible so that you experience minimal interruption to your day, and with convenient hours six days a week, there’s sure to be a time that fits your schedule. Trust our Service Center to make you their highest priority and provide superior customer service!